Our Steam Cook Film for microwave and conventional ovens provides a perfectly controlled cooking environment to give you perfect results every time you cook. Our M’Steam® film is a laminated flexible packaging material designed to use as a steam release film with PP Tray and PA/PP lined thermoformed in microwave ovens. It is a low oxygen transmission film which maintains freshness for your product. Due to the multiple layers your printed artwork is secure and has no contact with the product or outside environment. Materials have been independently tested by Campden BRI for microwave cooking. 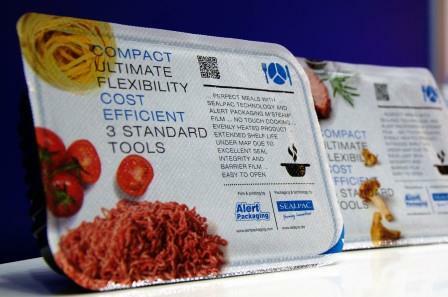 Packs on existing production lines e.g. Sealpac, Mondini, ProSeal, Pack Automation, Multivac.